When I am not in the mood to wear a dress, I usually reach out for shorts to wear when I am out and about. I love that there are more options for shorts available these days apart from the traditional denim shorts. 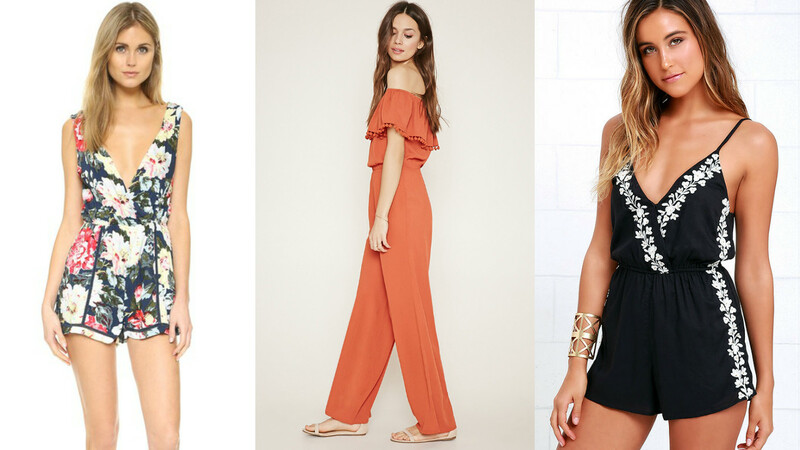 In fact, some short styles are dressier and can therefore be worn with a more dressed up outfit paired with sandals or heels. Whatever your style is, it's hard to deny how comfortable shorts are. Do you love wearing shorts too? What is your favorite way to wear shorts? When I am made to pick between a monochrome vs a colorful outfit, I'd pick color without hesitation. I am of the opinion that the more colorful an outfit is, the better. Life is so much fun when there is color involved, agree? Hence, this is how this look came about... I love this blue pleated maxi skirt because, well, I simply am addicted to the color. Apparently, the vibrant blue color isn't enough that I went for the red cami top from Forever 21 to pair it with. 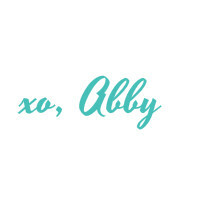 I bought several of this top from Forever 21 in various color options - these are such staple pieces and are essential to have in your closet. 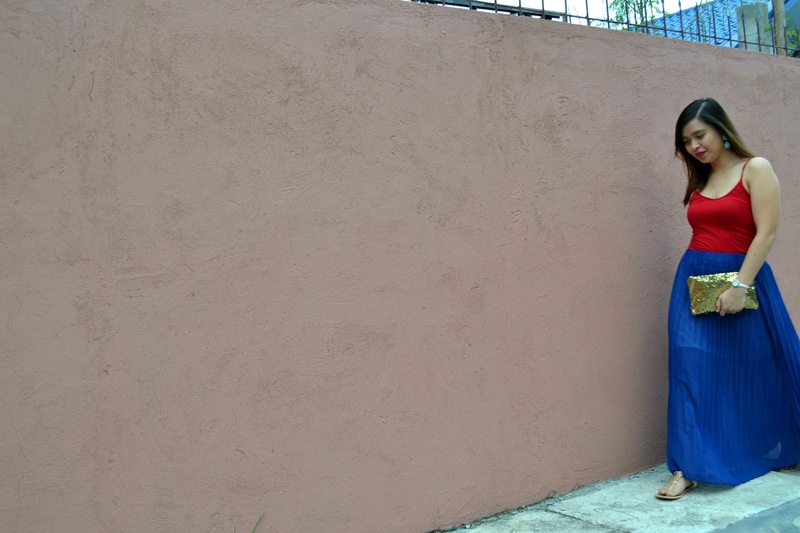 I bought them in basic colors for easy mixing and matching. I'm all smiles in this photo because, obviously, the burst of color makes me happy. Do you love colorful outfits too? Or are you a monochrome fan? 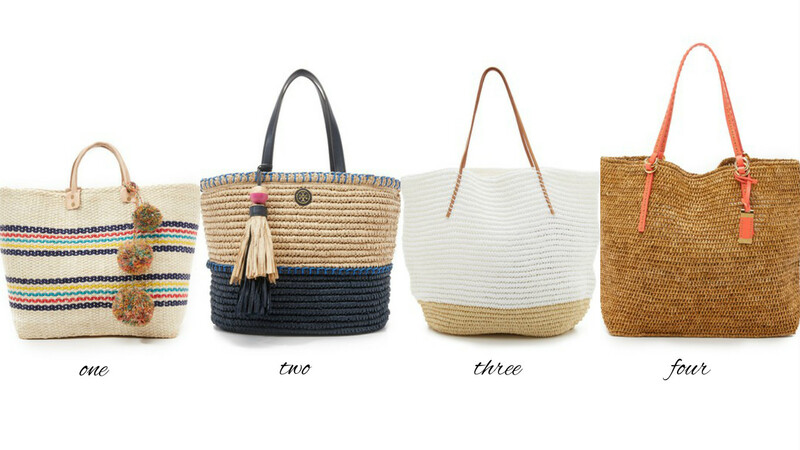 Do you love straw bags for summer too? Since we bought our wedding rings, I have very little idea on how to go about shopping for rings. But when we got to the comparison shopping, I was delighted to see the many options available these days. Even the days of diamond engagement rings are over. I have seen a lot of colorful gemstones when I glimpsed over the engagement ring section. Even my husband, then-boyfriend, even told me that he considered the idea of buying a ruby engagement ring for me. Although I did like the idea of having my own ruby ring, I still prefer the classic diamond engagement ring that I got. Whether you are shopping for a special occasion or you simply want to invest in quality rings, you will be delighted to hear about this new website that I have recently come to know. Markchic.com unique rings for women offer a design that would suit any style. Lover rings are for those couples who are looking to mark their relationship with an emblem, such as a ring. My husband and I's wedding rings are two tone silver and gold titanium rings with the band lined with titus. I've therefore picked a few two-tone designs for all couples out there looking for their own lover rings. If you're all about the classic ring style, go for a sterling silver ring. Personally, I like my silver rings with modern accents such as a huge gemstone or a rose gold accent with the band surrounded with delicate gemstones to create a more feminine style. Which is your ideal ring style? Don't forget to stop by Markchic to find out about the latest ring styles. Disclaimer: I was compensated for writing this post; however, the opinion expressed and items picked are my own. 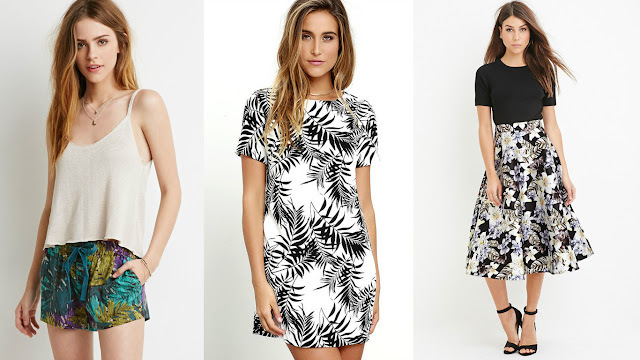 During summer, if I want to deviate from floral, there is one other go-to print for me: palm/tropical prints. I like to wear palm and tropical prints anytime of the year too, so I can bring that summer vibe with me (proof here and here). 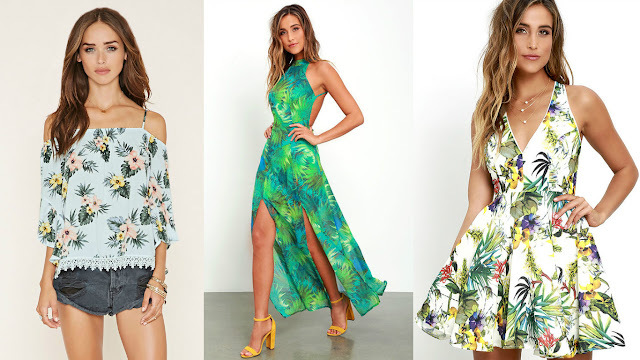 One other thing that I like most about the tropical print? It creates that perfect vacation look! I mean, just look at the maxi dress that I've linked below and those gorgeous bikini sets! 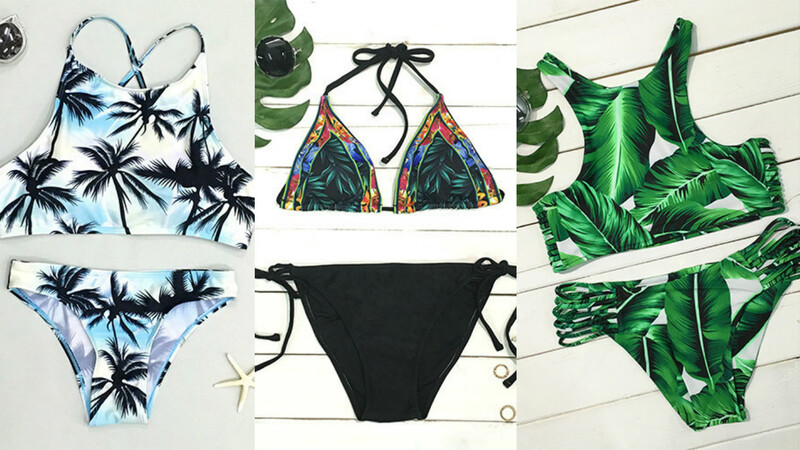 Are you dreaming of a beach escape yet? What is/are your favorite/s from my picks? Disclaimer: This post contains affiliate links. However, the opinion expressed and the items picked are my own. There is something about me and white that do not go together... I can't EVER seem to wear white without staining it. Hence, I've tried to avoid wearing white whenever I can but this white lace dress from Shein is looking so perfect for summer that I couldn't say no. To be honest, I was looking for a little white dress to add to my summer wardrobe. It has been a while since I've bought or worn a white dress (except for my wedding). And this dress comes with raving reviews, too, so I figured it might be a good time to buy a new one. True enough, it was as beautiful as was shown on the website. 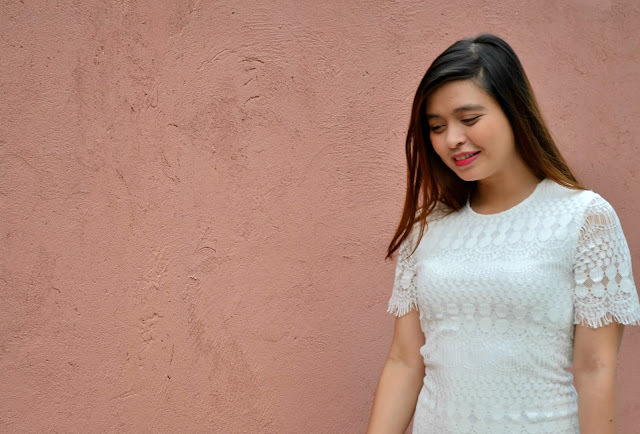 The fabric is cool, light and fresh - just what I wanted for summer since the heat in the Philippines is insane. I would highly recommend it to anyone looking for a white dress. The fabric has some stretch to it, which is always a bonus when shopping online! I tossed in my old reliables as far as accessories are concerned like my JORD Sully watch and this striped tote (perfect as a beach tote too). 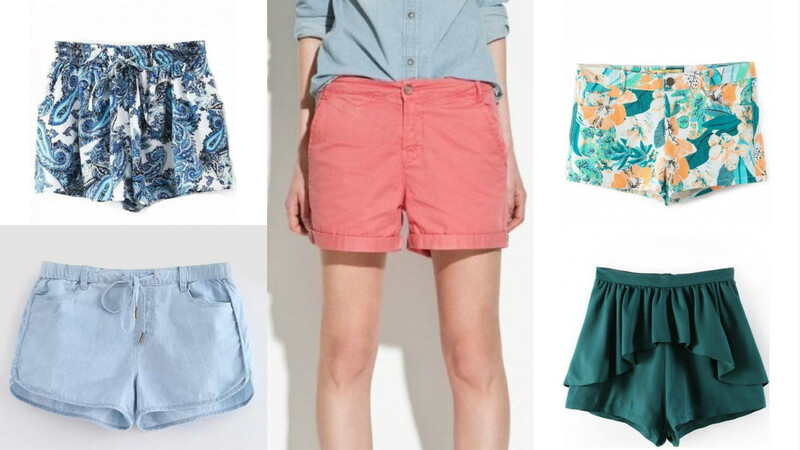 Which of these shorts do you fancy adding to your summer wardrobe? If you can't find any you like, you have more options here. Prior to being a professional beauty blogger for My Hair Care, I knew nothing about hair extensions. 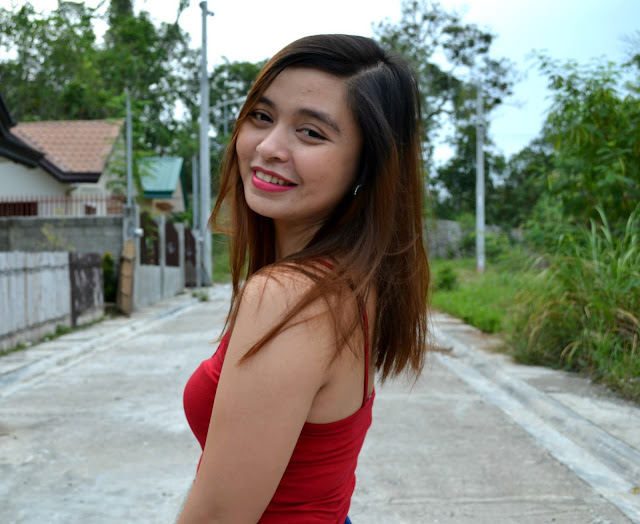 And even when I had gained some knowledge about what hair extensions are and what they are used for, I had this negative connotation about them. I thought they were similar to wigs so I knew right there and then that I did not want it on my hair. 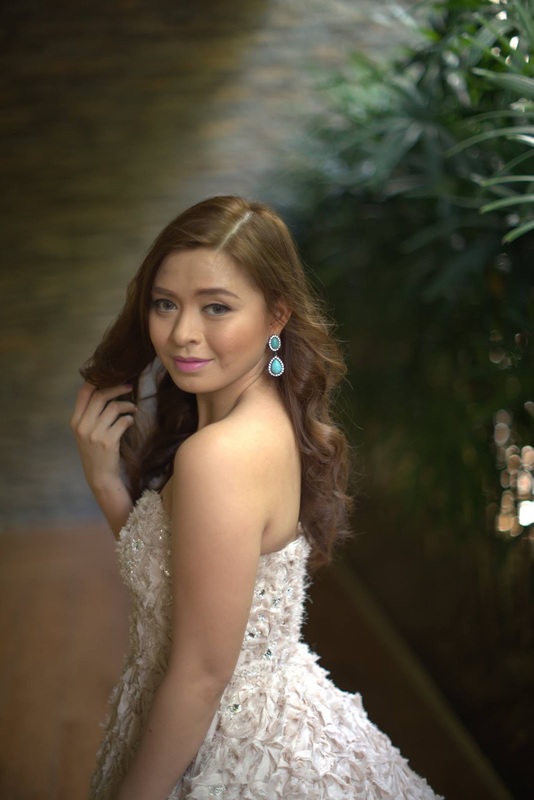 Little did I knew that hair extensions are godsend as far as hair and beauty is concerned. With the rise in demand for hair extensions, so did the options available for women of all hair types, colors and textures. It is now possible to find hair extensions made of 100% human hair. What this means is that women who wear hair extensions can blend it in with their natural hair so it isn't obvious that you are wearing one at all! 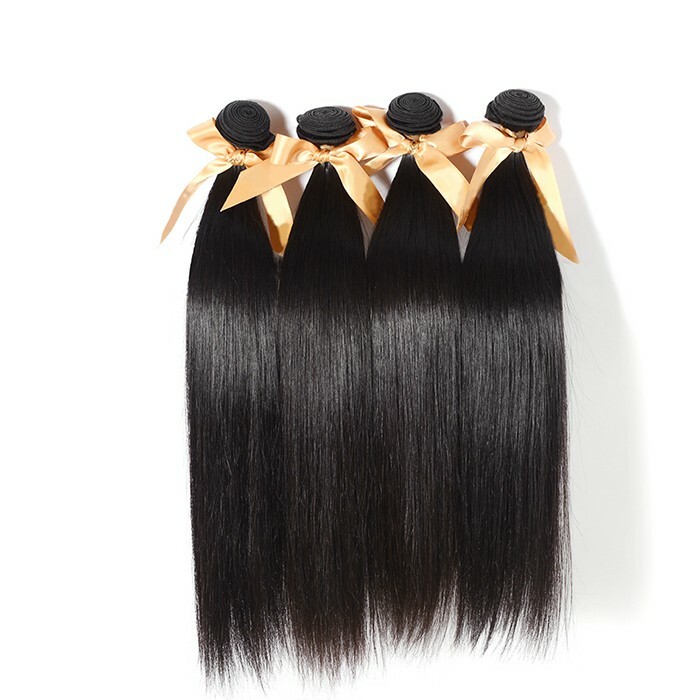 Virgin hair is one of the top selling type of hair extensions in the market right now. They are sought after because the term "virgin" refers to the fact that the strands came from a single donor, 100% human hair and unprocessed with chemicals. It did not undergo bleaching, perming or dyeing process to achieve its color. 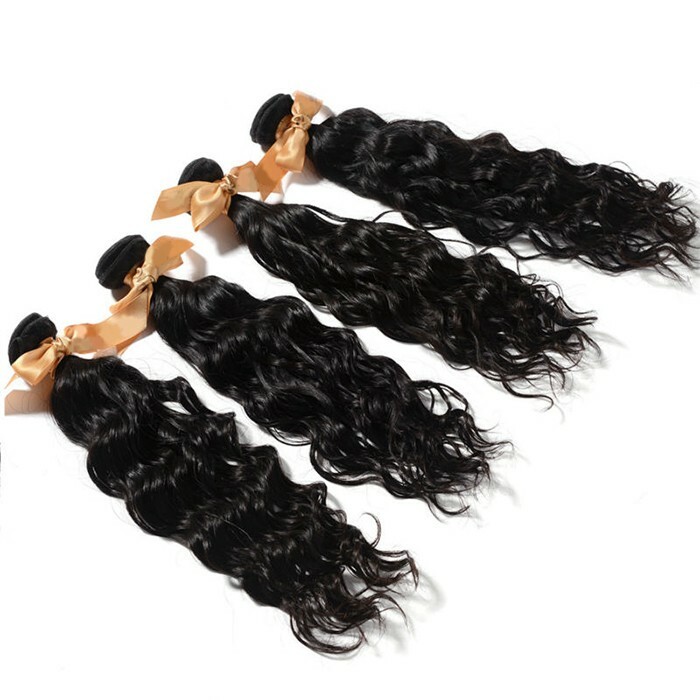 You can look at the selection of cheap Brazilian hair to find out how natural-looking these hair bundles are. 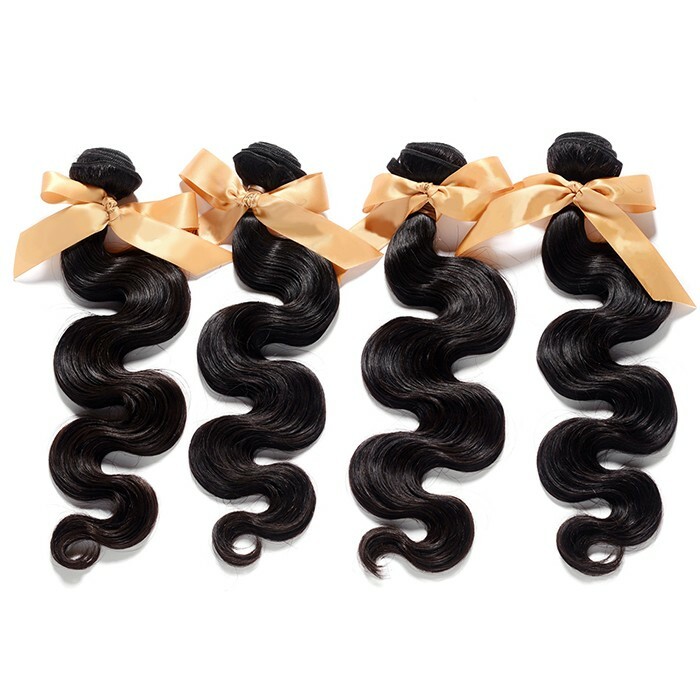 When you buy Brazilian hair bundles, it is important to consider your natural hair texture and thickness. In fact, consultation with a hairdresser is recommended to ensure that you can get the right thickness of bundles to use for your hair. If you have fine hair and you use super thick bundles, the bundle will be too heavy for your fine strands and cause damage to it. Proper matching is therefore important to not only get the best and natural-looking extensions, but also to ensure that your natural hair is preserved from damage. Have you tried using Brazilian hair extensions before? Disclaimer: I was compensated for this post; however, the opinion expressed are my own.